Welcome back to the One Room Challenge – Converting a Bedroom to Home Office Makeover. 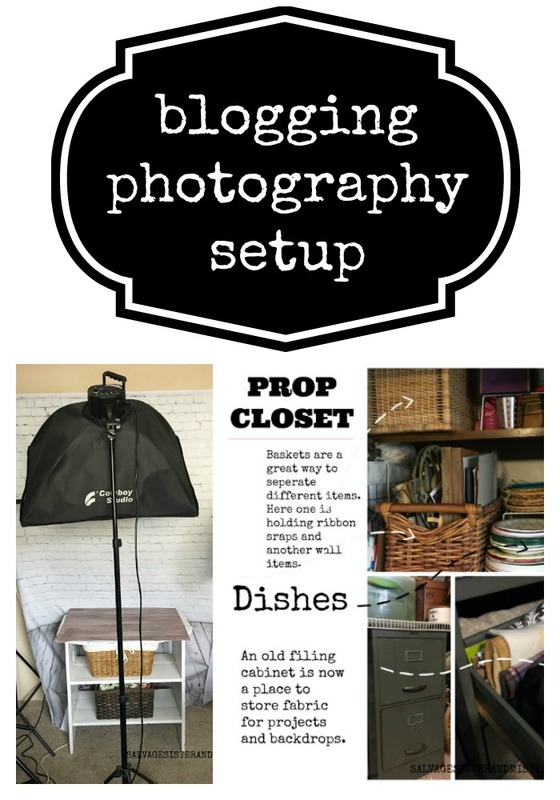 This week, we are sharing the blogging photography setup we created within this room. Photography is crucial to blogging. It conveys what you are trying to discuss, make, create, before words ever enter the picture. Although, we are still learning photography, a small photo area was a crucial need for this space. This new office was going to wear a lot of hats: photography studio, craft area, office, and home decor supply closet. That’s a lot to ask of a little ole room. With some key organization and planning, it would be possible. First, we declared one wall to be used for photography. It would have the backdrops and lights setup. *We use affiliate links to show products used. You can read our full disclosure here. We got this little table off of Facebook Marketplace. Here’s the little Instagram story cause whenever I pick something up, people scratch their heads..lol. Already this little photo area has been used for this image and this one. The second thing we did was install some shelves in the closet for a prop closet, craft supplies, and home decor extras. 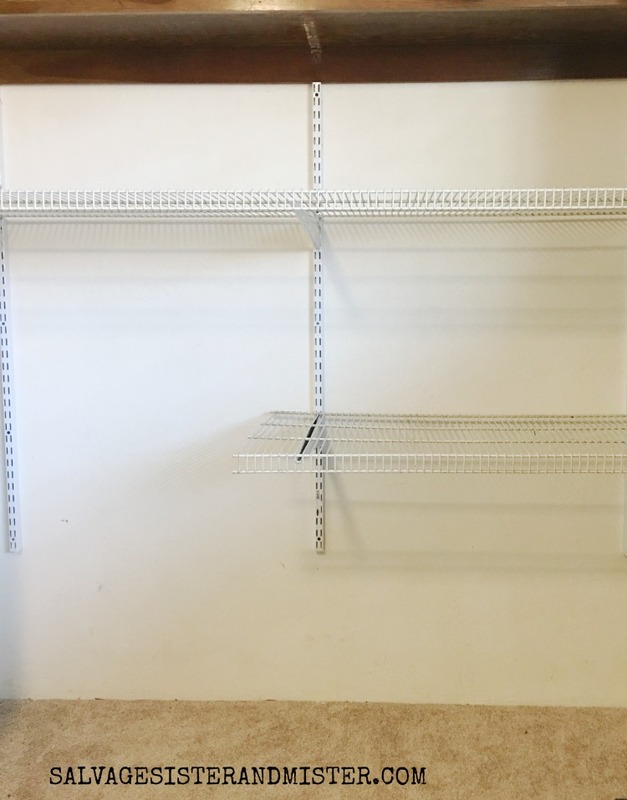 The shelves were given to us as a family member no longer wanted them. We purchased the brackets. 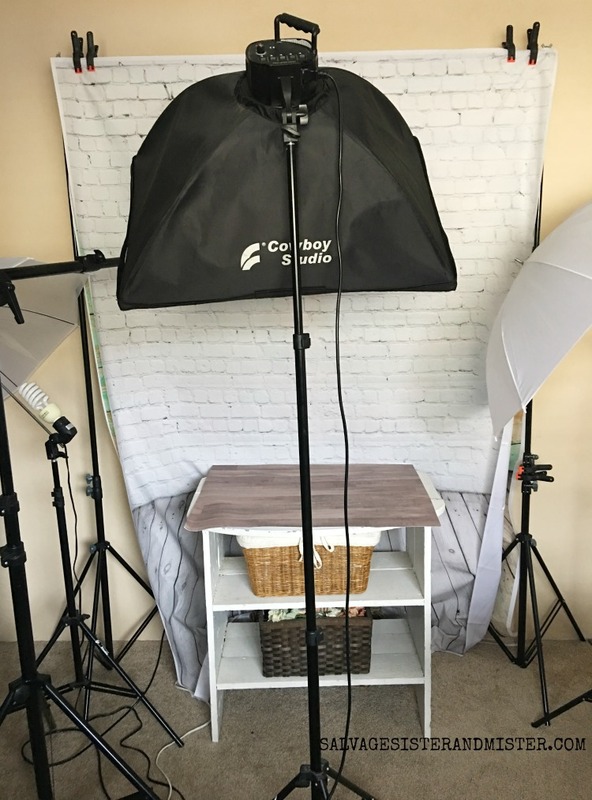 All in all, we spent about $30 for this blogging photography setup space. You will see lots of AH-MAZING room designs in the One Room Challenge. Our hope is to encourage those who those who may have time and/or budget constraints. With a little bit or time or money some small changes can be done to create what you are looking for – make the best with what you got! This is a genius idea and your space is really coming together! So smart to add a designated photography area. Can’t wait to see what you do next! Thank you! It’s fun and I’m always up for adventure. I need a prop closet! Damnit. I need to set up a photography spot like that! I have a spot for larger furniture, but a small spot would be good too! Emy recently posted…ORC Week 3: I painted the walls! Thank you, you’ve given me so many good ideas! With my office makeover I am making it more project and photo friendly. I’ve used the cabinet of our murphy bed as a backdrop for wreaths, and the top of the dog crates as a makeshift table. Now that I’m reworking the space I also need a small table, backdrops, and better closet organization. I can’t wait to see your finished space! Thanks for all the great inspiration. That sounds great Toni! And I’m so glad you’ve been inspired. How lucky you are! 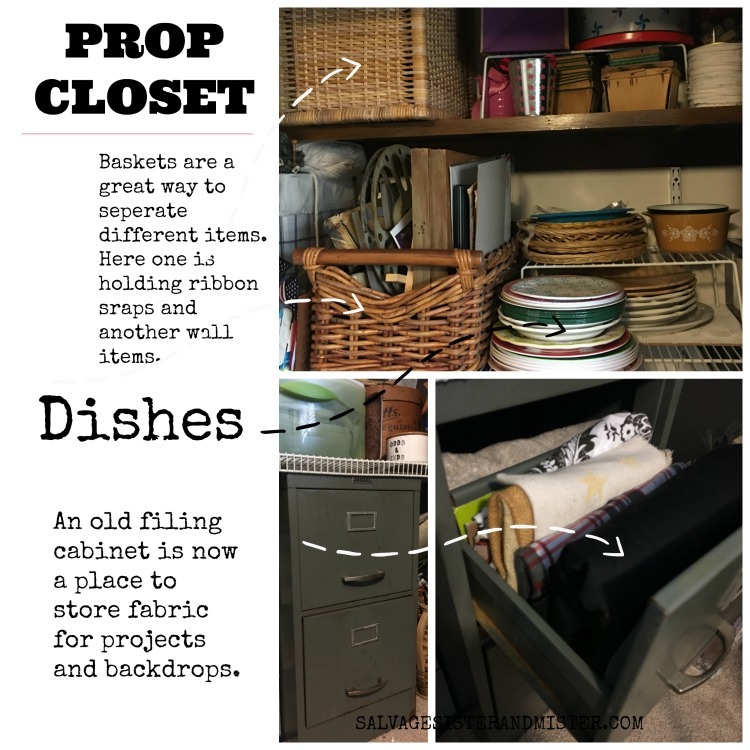 A prop closet and a photography area!! I would be happy to just get all my stuff in one space, lol!! I can’t wait to see next week!!! Perfect! I always love seeing bloggers photography tips! Thanks!